Shide is musing that Yiru suddenly appears and disappears in his life. He hears a scream as his sister charges into his room to see that he’s wearing a ring. Hadn’t he sworn to her that he wouldn’t marry before her? She throws a hissy fit, and tries to wrench the ring off his finger. Grandma, Mom, and Aunt charges into the fray. Mom asks why Shide would agree with his sister to not meet his love anymore, when grandma delightedly cackles that he did the exact opposite. Mom had misunderstood, Shide is refusing all of his sister Shiyun’sdemands. 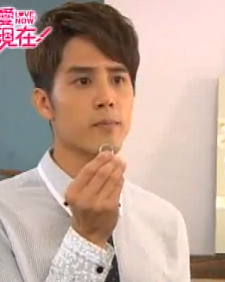 Shiyun whines and Shide agrees to take off the ring, but that’s all. She can’t prevent him for looking for his love. This time he’s serious. Grandma is beyond estatic and encourages Shide to quickly find his Yiru. 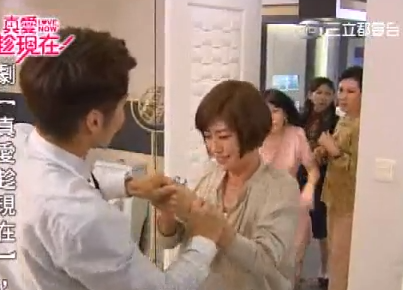 Grandma comforts Shiyun by pointing out that her aunt is forty and still not married. Shiyun tells them that they can’t compare her and her aunt. She’s a diamond and her aunt is coal. Besides, Shiyun is a famous author, she’ll lose face once the news goes out that her younger brother got married before she did. Her aunt gets dramatically and hilariously offended by Shiyun’s tirade, and tries to leave with the hope that someone will come after her. But Grandma is busy with Shide and Mom is comforting Shiyun, they nonchalantly tell her to take care as she howls down the hall. Shiyun tells Shide that if Shide doesn’t listen to his sister, he’ll regret it. But he refuses her and she stalks out. Grandma and Mom learns of Yiru’s name and are literally on cloud nine. Yiqing (Yiru’s younger sister) is with Sun Qiming, whom she had invited over to eat as a form of apology for using him as a shield against her sister. It turns out that it was because Yiqing had sold out Qiming, she was able to save her own skin. From Qiming, she learns that her sister had gotten married and bedded a guy. Qiming said it was because of the illness lie, Yiru wasn’t thinking straight. But Yiqing knows her sister. She observes it was either because the guy was very good looking (YES) or because he was really good in bed (I would love to know too), which causes Qiming to do a spit take. Yiqing also tells Sun Qiming that he’s is very jealous, it’s obvious to her that he still has feelings for his sister. Sun Qiming explains that his bad mood has nothing to do with his sister but everything to do with Hao Shen, which is trying to sue him. The next day Yiru gets wind of the law suit confronts Qiming, who’s scare shitless by her. Apparently Qiming had done a favor for his friend that was illegal using his company. Now that Hao Shen is connected to the case and is suing Which he has none. Yiru lays it out for him and (due to the entire company begging her for help) goes to Hao Shen to try to rectify the situation. Hao Shen, of course, is Shide’s company. They are in the process of selecting a media company to do promotions for their products. Shide’s aunt is pushing for Yiru’s company, not knowing that Yiru is the one Shide is looking for. Shide’s expression at his aunt’s matchmaking is priceless. Yiru arrives and Shide’s aunt tells her to make good of the opportunity to get the President’s interest. 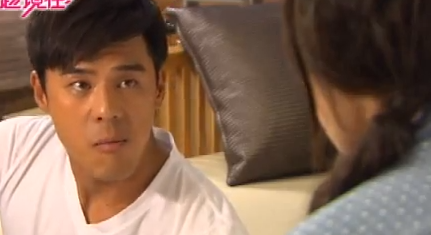 Yiru tells the aunt that her company’s president might have some legal issues with Hao Shen. Auntie tells her that it might affect their current job opporunity so she better take it up with the president. Yiru asks for the president’s name, and its Lan Shide. Yiru freaks out because she think that Shide probably won’t believe her. So in her haste, she disguises herself to do the presentation, which had almost been ruined by her assistant. She had put on a rediculous hat and lowered her vioce, citing intense allergic skin reaction that caused her a massive breakout so she couln’t show her face. However, her nervous gesture almost gives her away. Shide remebers Yiru would pick at her fingers when she was stressed and he almost made her out before she runs away. The situation back at her office is even more dire as everything is about to be taken away and the business about to go bankrupt. Everyone is desperate and is begging Yiru to find a solution. Meanwhile, Grandma and Mom are trying to find the Yang Yiru Shide is trying to find. Their age range for the girl is 15-40 because they haven’t ever seen Shide date. Aunt comes home and calls Shide’s minon who tells her that all he knows is that she was born in 1984. Shide tells that his minion that if aunt calls, try to give as little information as possible, he didn’t want them to interfere. 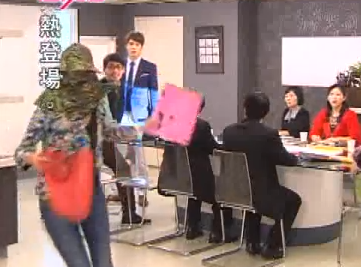 Aunt deducts that Yang Yiru might be the girl who came to the company earlier, the one she had picked for Shide. After all Yiru was acting very weird when she had heard of Shide’s name. But then she talks herself out of it because she thinks Yiru has bad skin so how could she have possibly gone to the Philippines. I can’t tell if the aunt is dumb or smart, which makes her the perfect comic fodder. Next Episode will be the one where Shide and Yiru Meet. 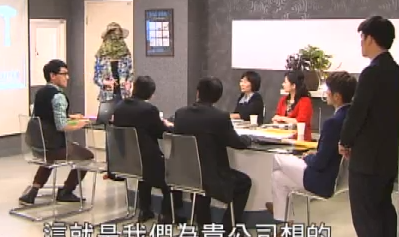 This episode was like the typical Episode 1 of many taiwanese drama. It sets the exposition of the conflict. One that is drawn out and a bit over the top. But since I just watched the recent episodes, I’m totally okay with the show now and will continue recaping. Excuse me, do you know the actor who in the picture ?